Quaker Mini Rice Crisps. 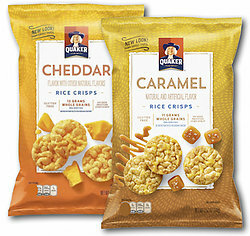 Delicious Quaker Rice Cakes are a great, light snack. They are low in fat and calories, perfectly portioned in this snack size package.